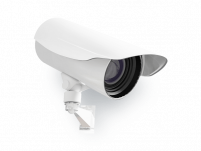 Connect any number of cameras, regardless of location, and view them live online or from a mobile device. Stay on top of your cameras with email notifications that alert you as soon as they go offline for any reason. From friends and family to business customers, share your camera streams easily, with the people who matter most. Angelcam supports over 90% of camera brands and enables seamless connection of cameras across multiple locations. 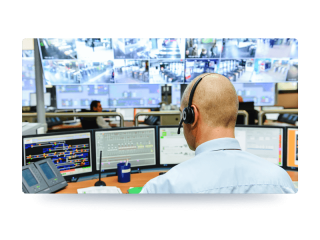 Remote surveillance of your business or home, conducted by a dedicated security team and scheduled for your convenience. Our agents keep an eye on your property to ensure that everything goes according to your plan, including goods being delivered, guards making their rounds, or that everything is simply safe and secure. Make sure your cameras are up and running properly with notifications alerting you when things are amiss. Pay as you go and schedule the service to meet your needs. Monthly subscription plans fit all use cases. Prevent loss or damage to your video footage by recording and backing it up securely to the Cloud. Recordings stored in the Cloud stay safe and encrypted, unlike hardware, which is susceptible to damage. Track motion and other events to know when things occur. Use IFTTT or Angelcam API. Quickly create and download short video clips and share them with the authorities or insurers. Connecting more than 10 cameras? 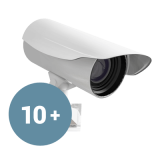 Broadcast publicly and promote your business by easily embedding IP camera footage to your website. Take your broadcast public or keep it private with the option to set up password protection. Attract new customers by adding your logo to the footage and watch over the data in analytics. Use an IFTTT device to start or stop your broadcast based on the time of the day or any other custom event. 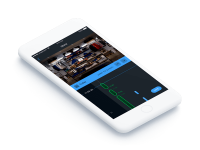 Easily create time-lapse videos from your recorded footage.